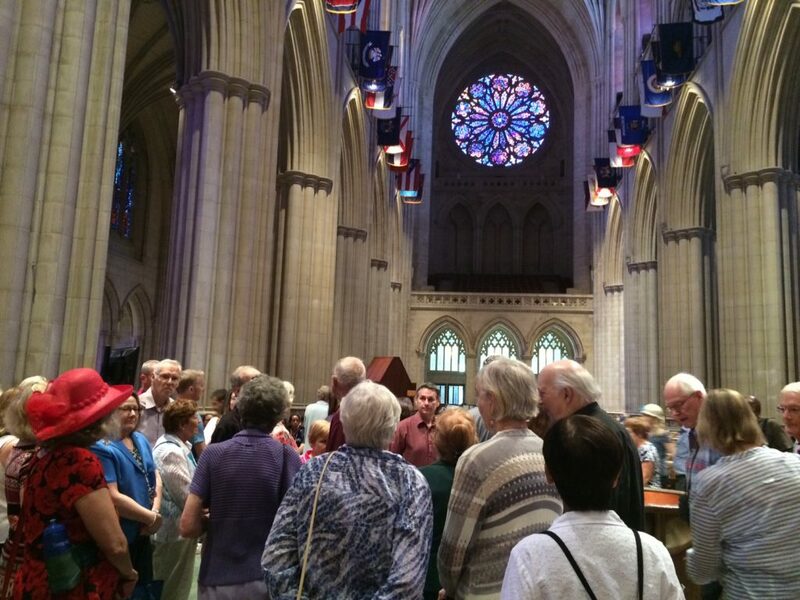 Around a dozen Villagers were thrilled and inspired by a special tour of the National Cathedral in June. Our excellent guide provided a number of historical facts and asides. 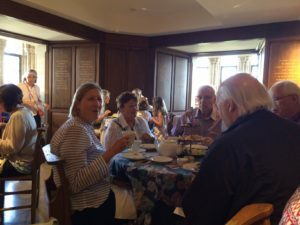 Who knew that high in one of the towers there is a tearoom with panoramic views of Washington, Maryland, and Virginia? The tea and pastries were excellent and it was another memorable ANV experience. Mike Goldberg and Mike Murtha keep it hot! 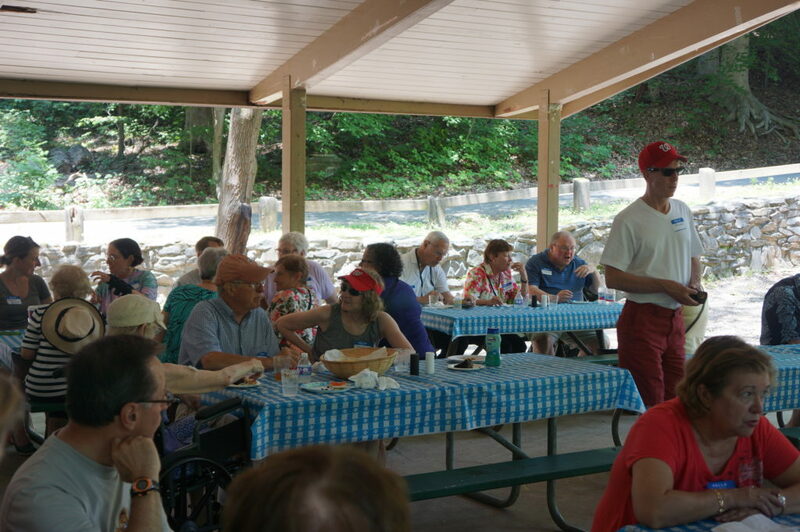 On Saturday, June 11, at one of the prettiest picnic areas in Glencarlyn Park, fifty ANV members, volunteers, and friends gathered for our first summer cookout. 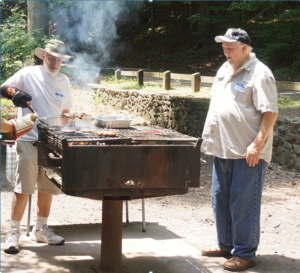 Everyone enjoyed a choice of hamburgers, hotdogs, and veggie burgers grilled by Mike Murtha and Mike Goldberg, with assistance from Pax Baker. Potluck contributions included delicious salads and sinful desserts. 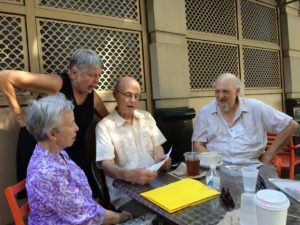 Participants had a great time chatting with friends, old and new, under the spacious and airy picnic shelter. Thanks to all the volunteers who made it such a success under the leadership of Elise Burns, Events Committee chair. All agreed we should try to make it an annual event. 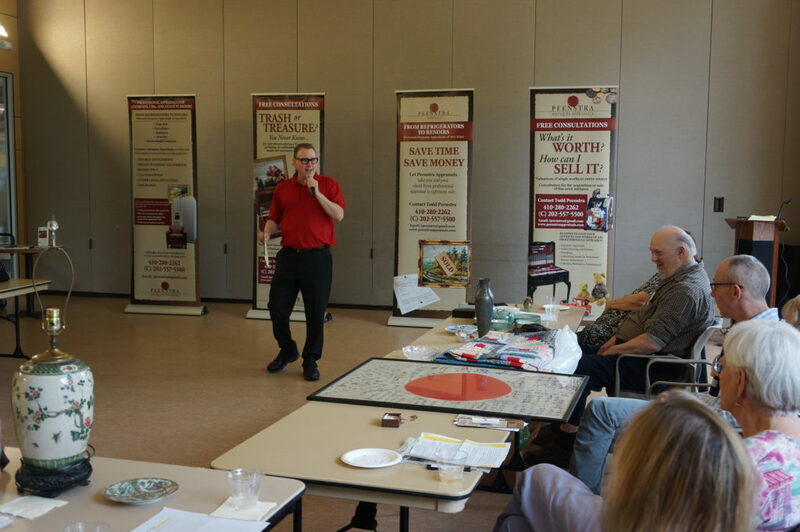 In May, ANV put on our version of Arlington Antiques Roadshow with professional appraiser, Todd Peenstra. Nearly two dozen members, volunteers, and friends arrived at the Walter Reed Community Center cradling a range of heirlooms and objects from all over the world. Todd, who offered his services free of charge for this special ANV event, listened as each person unveiled their object and provided a little background story. He shared his opinion about the origin, history, and valuation – in many cases, to the pleasant surprise of the owner. While many of the items have some monetary value, the best part was sharing priceless experiences. Exciting news! 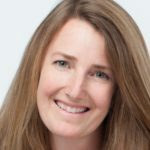 The ANV board of directors selected Michelle Brydges to be our new executive director effective May 9. In this new position, she will manage ANV planning, finance and fundraising activities, as well as direct our day-to- day operations, largely staffed and supported by our many dedicated volunteers. Michelle originally came to ANV to volunteer since she has family members who are facing the challenge of living independently. When she learned ANV was in need of an executive director, she knew she wanted to be involved in our important mission to help our growing community age in place. It was a perfect fit for everyone! Please give Michelle a warm welcome – we’re fortunate to have someone so passionate about our mission lead the ANV team. This entry was posted in What's New on 05/12/2016 by Susan. The weather cooperated and we played two games of bocce yesterday afternoon. Interest is growing – seven players came out to join Gary’s Gladiators and John’s Jack-Hammers. I cannot remember the scores and who won, but that is not important. Between games we refreshed with hot chocolate and cookies. Hope to see you next Monday, 6:00 to 7:00 pm at Glebe & Randolph Park, even if you can only stay for one game. Participation is catching on and soon we will be using both courts. This entry was posted in What's New on 05/10/2016 by Susan. 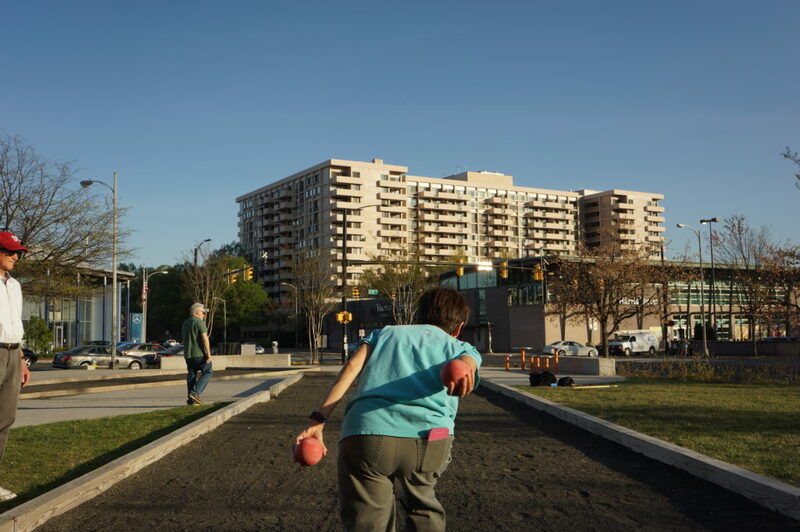 ANV has started its spring informal pick-up bocce ball games at Randolph & Glebe Park every Monday evening from 6:00-7:00 pm. 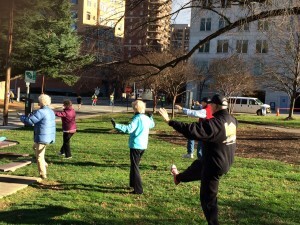 Come and join other ANV members and friends for fun and a little bit of exercise at the corner of N Randolph St and N Glebe Rd, across from Harris Teeter and just behind the Ballston Commons parking structure. All skill levels are welcome. No prior experience or knowledge of bocce is needed. There are two county-provided courts, so everyone gets a chance to play. We hope to see you there. Please contact John Thomas, thomas-johnr@comcast.net, for more information. This entry was posted in What's New on 04/22/2016 by Susan. 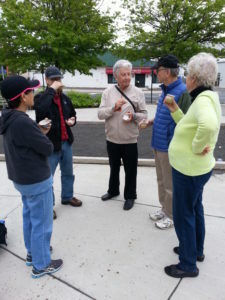 ANV volunteers Gary Eiserman, John and Mencit Thomas, Mike Murtha, Margie Mayer, and Dave Christian led our third annual ANV Earth Day cleanup of Arlington County’s Lubber Run Park. 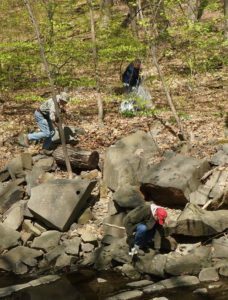 With the able assistance of a Girl Scout group, Cub Scout Pack #548, and Arlington Park Ranger Bruce Caviness, the group scoured the Lubber Run streambed and surrounding banks, collecting several bags of trash and recyclables. Thank you ANV volunteers for a job well done! Shivering into spring? 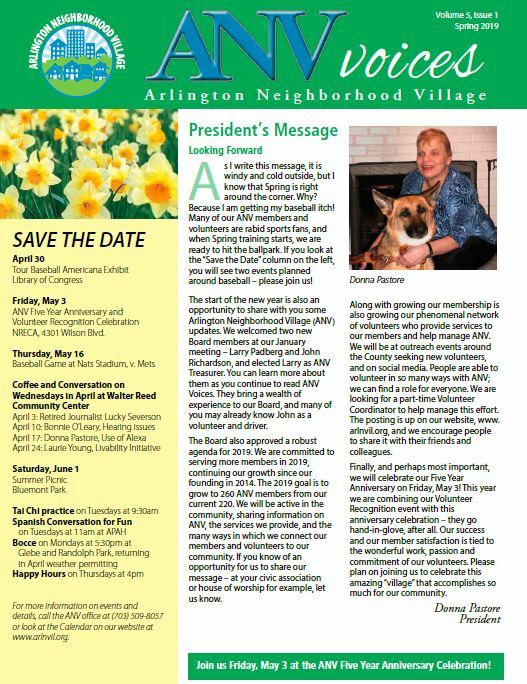 Warm up with the ANV Voices newsletter from Arlington Neighborhood Village. Today’s the day to put joining, renewing or volunteering with ANV on your “to do” list. Take a break from spring cleaning — you can catch up on our earlier newsletters. This entry was posted in What's New on 04/11/2016 by Susan. The first series is now full. However, the good news is that a second series have classes are now available at Langston on Thursdays from 10:30-noon on May 5, 12,19, 26, and June 2. ANV members, volunteers, and guests are invited to a series of 5 free workshops on the topic of preventing falls. The workshops are led by Marymount University faculty in physical therapy, nursing, health management, and interior design. Knowing your body and how to improve your balance, learning about the impact of your medications and diet, and understanding how to set up your home interior can significantly reduce your risk of falling. 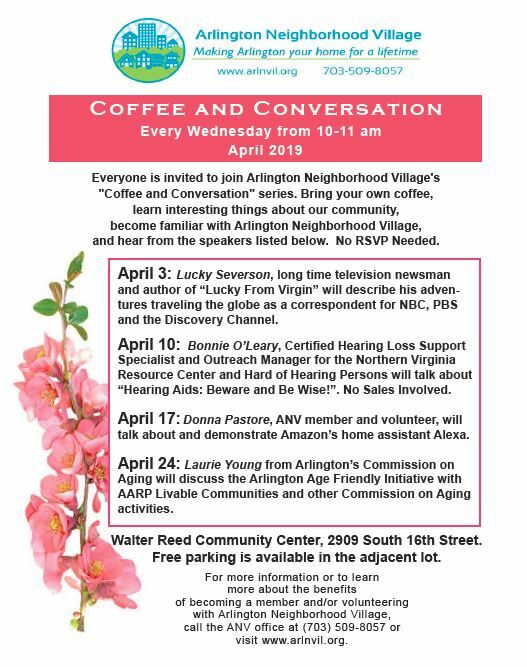 Learn about a different topic each week and discover many resources available to you in Arlington. A flyer for the program is attached here. You are encouraged to attend all five to get the most out of these workshops. Where: Langston Brown Community Center, 2121 N Culpeper St., Arlington, on the corner of Lee Highway. Plenty of free parking. When: Thursdays 10:30 am to noon, May 5, 12,19, 26, and June 2. Registration with Marymount is required. To register, please click HERE. You will receive a confirmation email following the completion of this form. Pre-registration is required and spaces are limited. For further information or questions, please contact Rachel Alberts at 703-284-7559 or Ralberts@marymount.edu. This entry was posted in What's New on 03/18/2016 by Susan. When: Thursdays 10:30 am to noon, March 31, April 7, 14, 21, and 28. This entry was posted in What's New on 03/04/2016 by Susan.